Here’s another new discovery my family and I visited during our trip to Singapore. 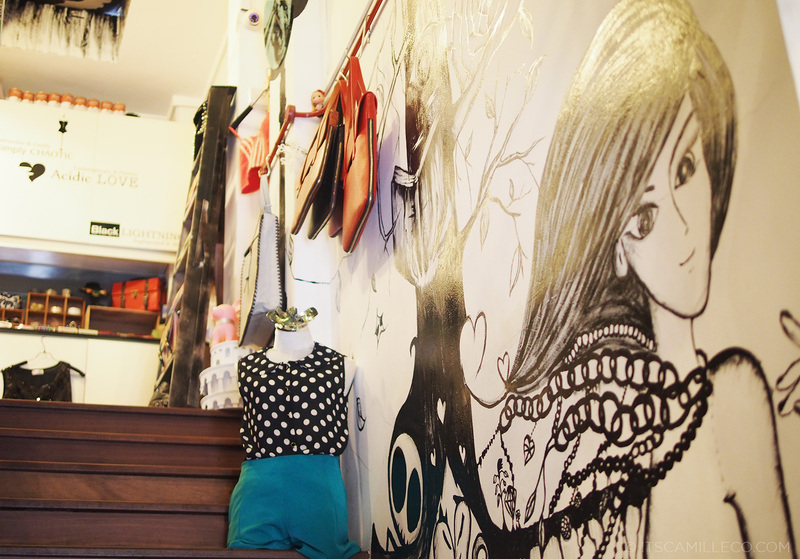 My sister really wanted to shop at local stores so she researched about this charming little area called Haji Lane. It reminds me of Paris’ Le Marais except it’s the Asian version. If I were to compare it to a place here in Manila, Cubao X is probably the closest. They sort of have the same concept. 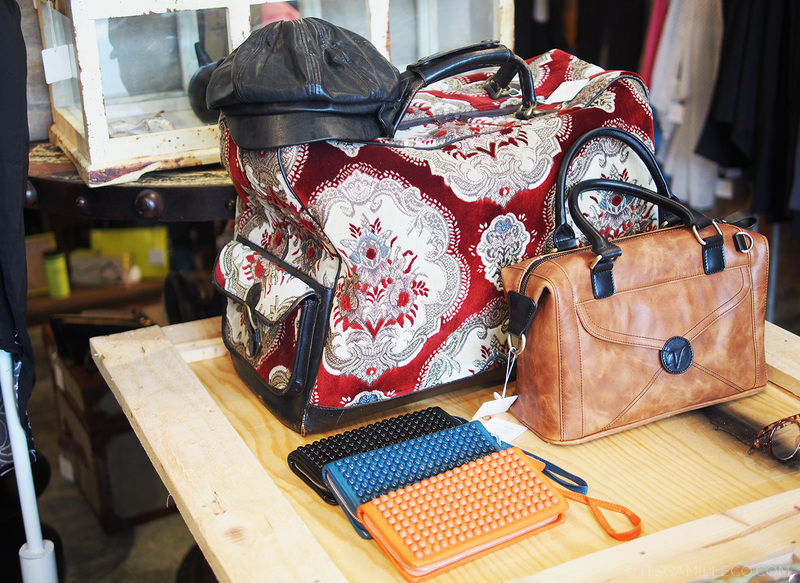 Haji Lane is a hub for quaint little stores, mostly fashion. It’s got a lot of flavor, to say the least. Upon entering the vicinity, this was the first establishment we saw. It just commands attention, doesn’t it? It’s the facade of a restaurant. Judging from the wall art, maybe it’s African? Mexican? Of course, this was my initial thought–MUST.TAKE.OUTFIT.SHOTS. It’s all about comfort and casual dressing for me again. This is really a priority in all of my travels. No outfit should hinder me from soaking it all in. I’m such a travel junkie. I really am. 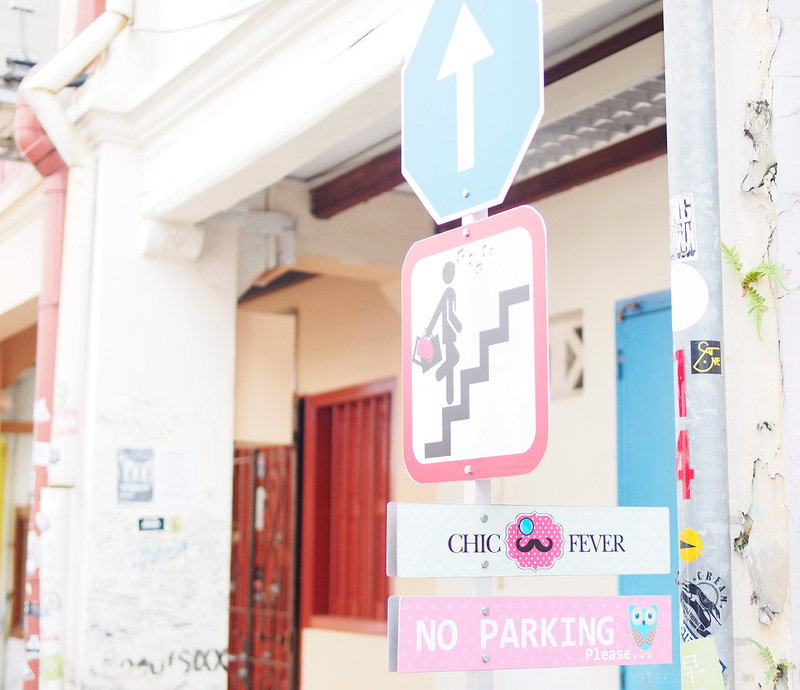 While walking around Haji Lane, I kept taking photos of literally everything around me! There’s just something about places like this that makes everything look like a piece of art. They’re so full of character! My sister was able to buy this pair of leather shoes. They’re the only pair the store has and they’re size 4 and a half. 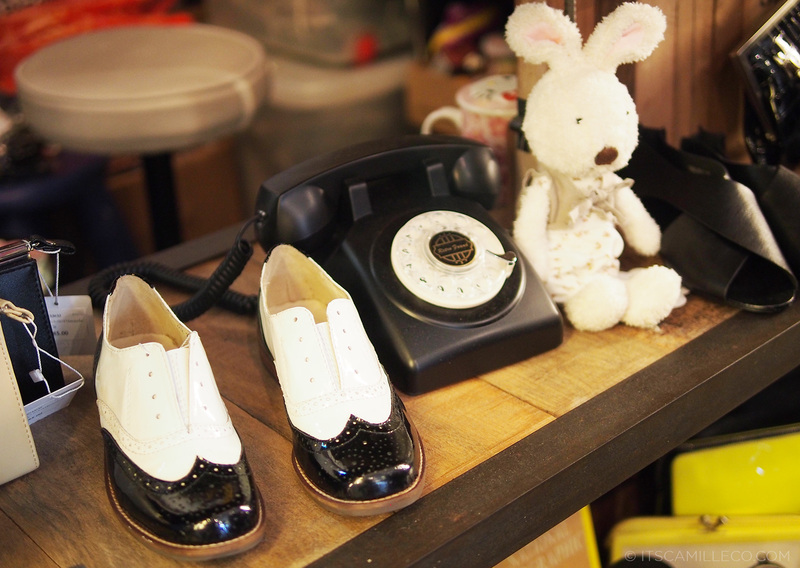 The store clerk said so many people wanted to buy them but they’re too small for all of them. How lucky is my sister? Well if all signs looked like this, then maybe more people would happily abide by the rules. If only big stores would pay attention to little details like these. They make customers want to look around the store more. They certainly lured me in! 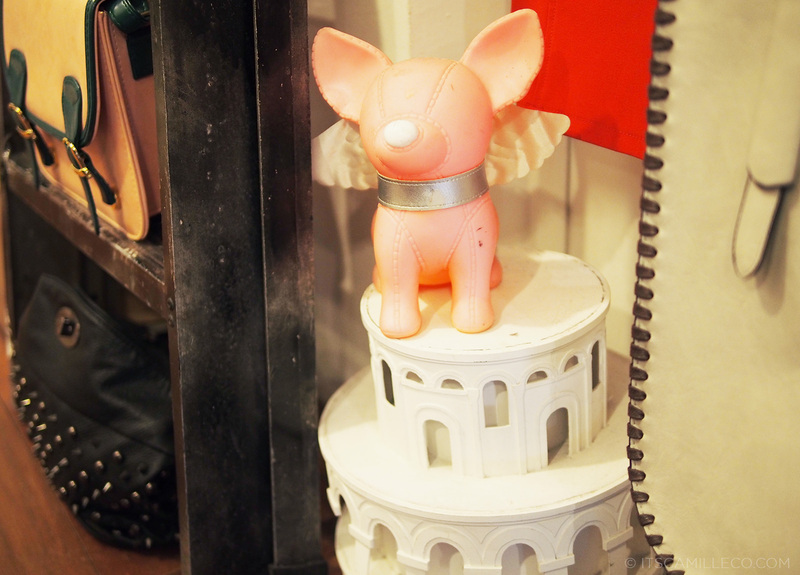 Hello there, cutie! I need you in my room! Spot our reflection on the glass. If only I know how to ride a bike. Someone teach me how to ride a bike!!! A moving bike, okay? Not the ones at the gym. LOL! Just clarifying. All the cool sunnies are here! “Life without fashion would be a mistake.” I AGREE! Who’s with me? 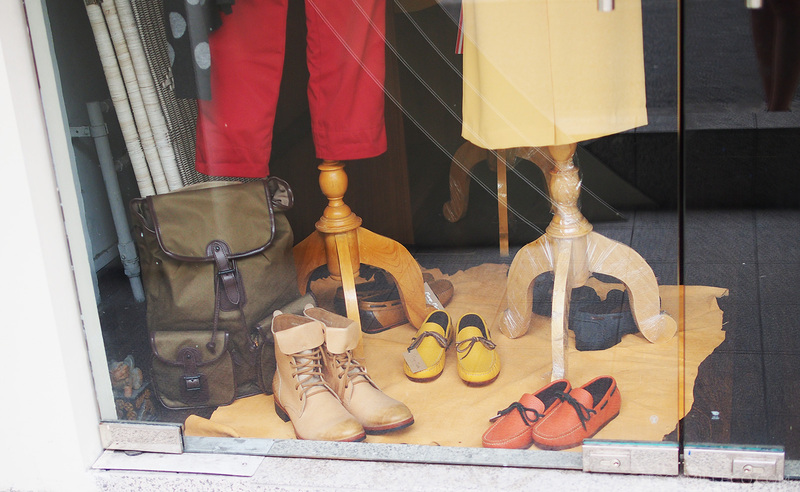 I love these shoes and bag for men. If there are straight guys who got lost in my blog (First of all, wow!! Second of all, why? LOL! Not that I’m complaining), take notes! These speakers look so cool! Old school type of cool! “Fashion is what’s available” To a certain extent, yes, but I think fashion is what you make of it. Out of all the stores we entered, this is the only store I remember by name. I LOVE THE CLOTHES HERE! 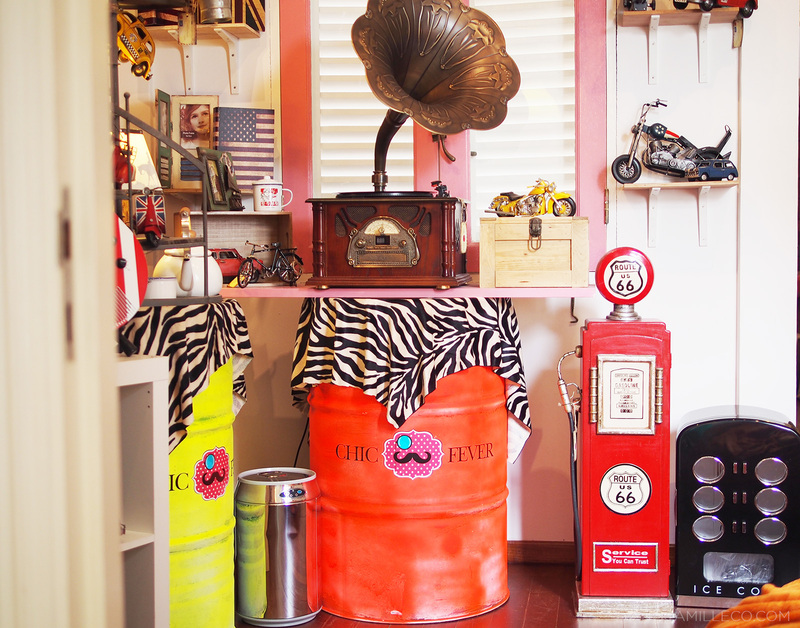 This store is called Crayon. They actually just opened a few minutes before we entered. We were their first customers–EVER! And we bought a lot! How can we not? 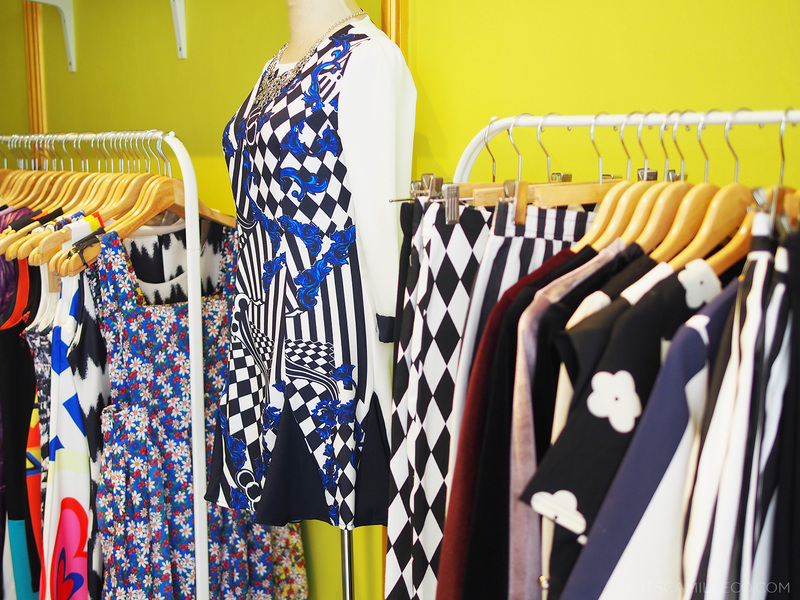 They have the most adorable pieces in the prettiest prints! Their style is very mod. Très chic! 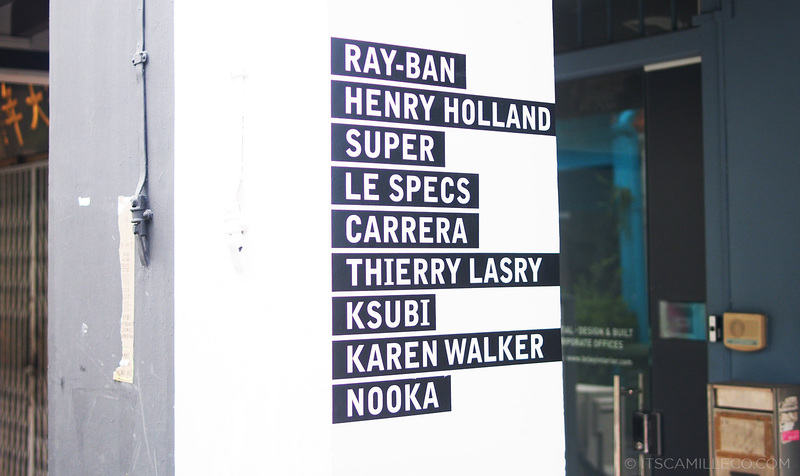 If you visit Singapore, I definitely recommend checking this place out. 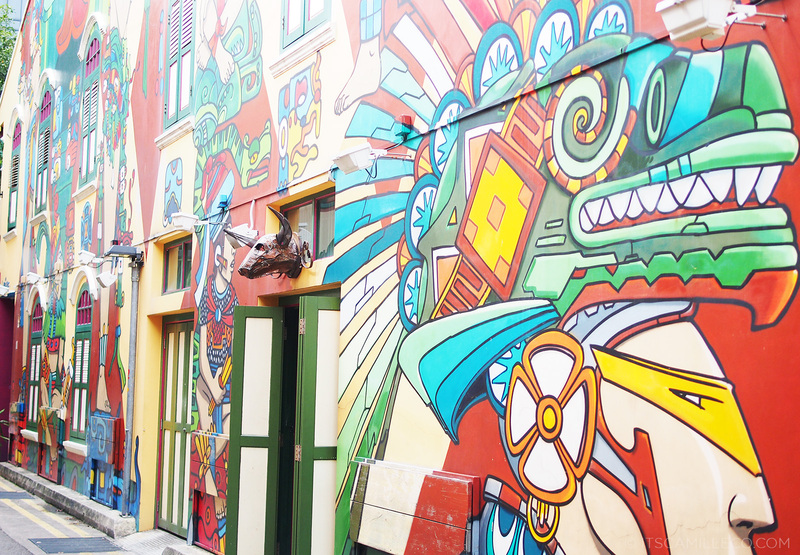 If you’re tired of the usual malls, you’ll love Haji Lane for it’s unique selection and quirky charm. What brand and shade of lipstick are you using? Too bad I wasn’t able to visit this place when I was there. I wouldn’t take outfitshots but I definitely would look for food(there’s bound to be something there). Great place though, thanks for the tip! Ganda ng outfit mo Miss (as usual)! If you don’t mind my asking miss, younger sister mo? Thank you Nicole! :) My bangs are so low maintenance. I just dry them and that’s it! They just stay that way haha! Oh my God! You are really something. You have an awesome way of organizing your blogs plus with attractive pictures that goes with it. You really do know how to put something that makes you more attractive! Looks interesting… Definitely checking it out next time! I love it when you restyle your exiting clothes! If I remember correctly you wore this with a yellow and a white blouse with colorful detail before! It is great to see bloggers with relatable and practical style! OMG!! where is this? I’ve been to SG a lot of times but I haven’t been into this place!! :'(( How do you go here?? Thank you again! :) Go for it! Makikita mo rin sila sa blog ko :) Soon! 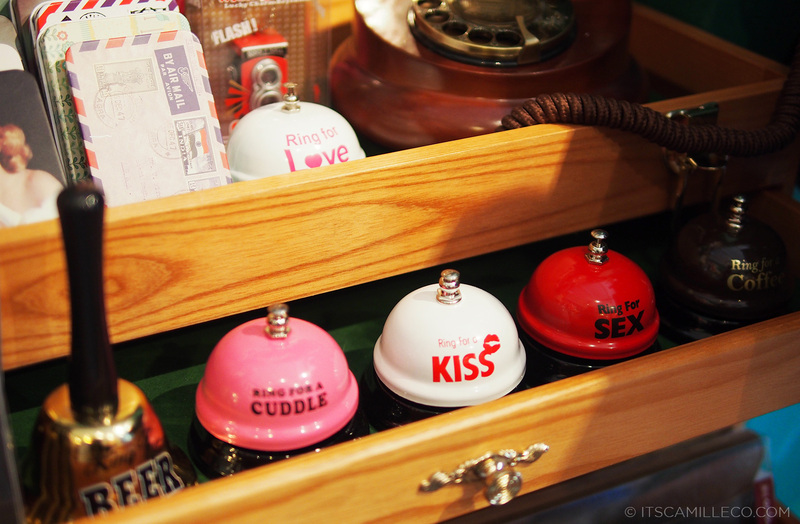 I would give that red bell to Justin Bieber.. Hahaha! No but really, cute outfit, loooove the top! Hey Camille! 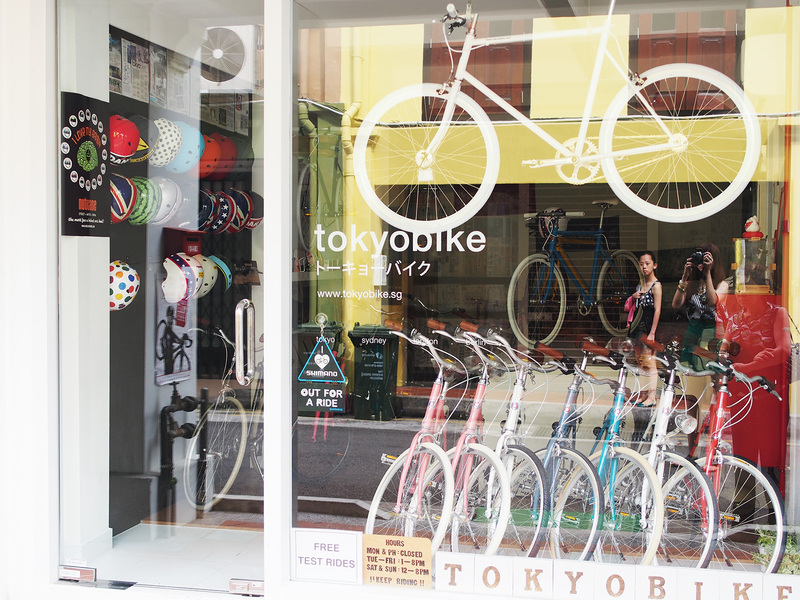 Nice pictures :) anyway, do you know what time the shops at haji lane open/close? Love love love your outfits, Ms Camille!! Especially your sandals! 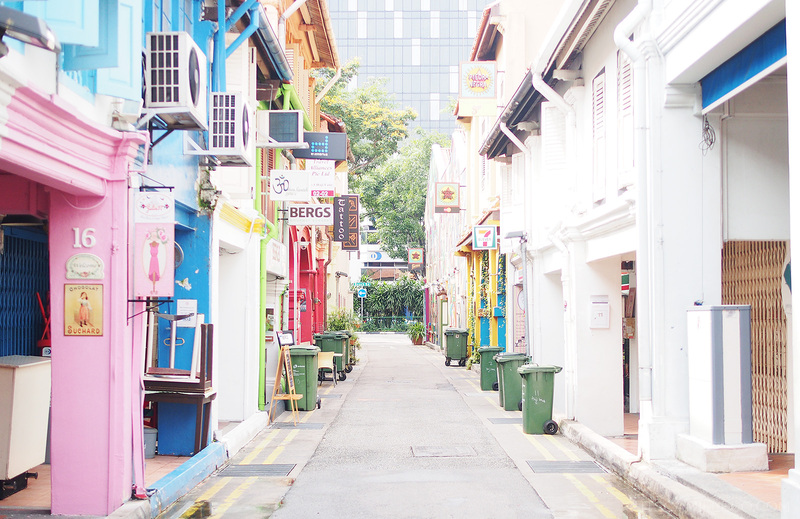 Haji Lane looks fun! hope to visit there one day! all the shops are cute! 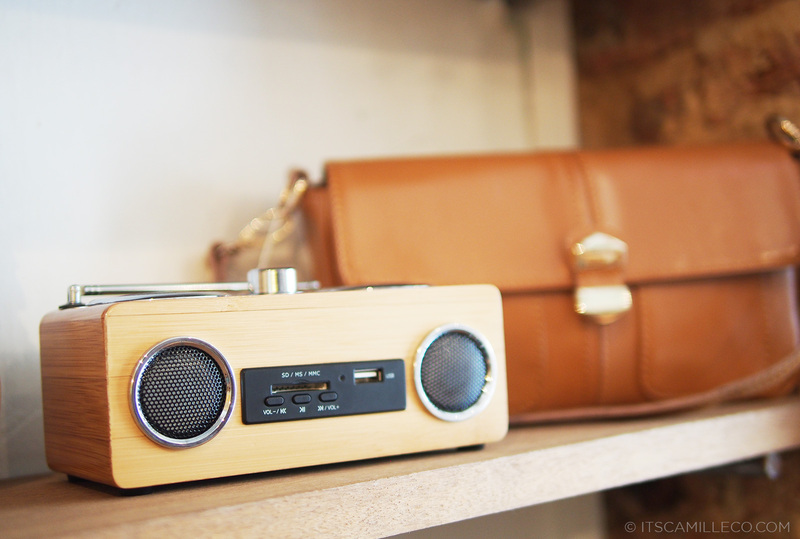 I love the speaker.. perfect for someone like me who loves listening to song the whole time! =D and i agree with you on that! Life without fashion is really a big mistake!! The 2 books looks really interesting.. what’s the full title of the Coco Chanel’s? 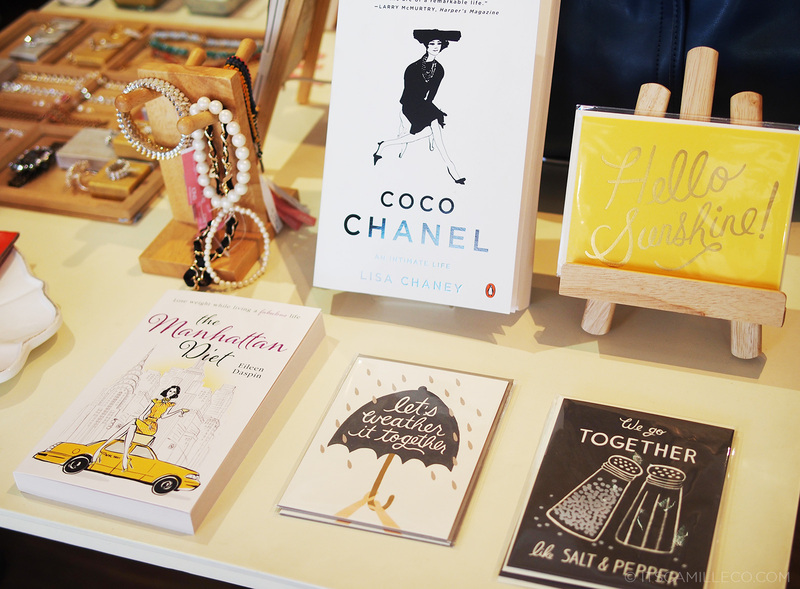 can’t see clearly..
Just “Coco Chanel, An Intimate Life by Lisa Chaney” :) You should go to SG. It’s really near your country! How do you pack/store your shoes in your luggage? Or you just hand carry those? :) i need tips how to do the shoe packing part! haha! But from a designer’s point of view, fashion CAN be what you make of it. :) It’s something you can create. Sorry but I can’t view the photo :) Thanks Abigail! Really?! It’s on my bucket list! Oh gosh, this looks beautiful! My pleasure! :) Enjoy SG! hey you forgot the ring for coffee ahaha joke anyway is it expensive to shop in there? 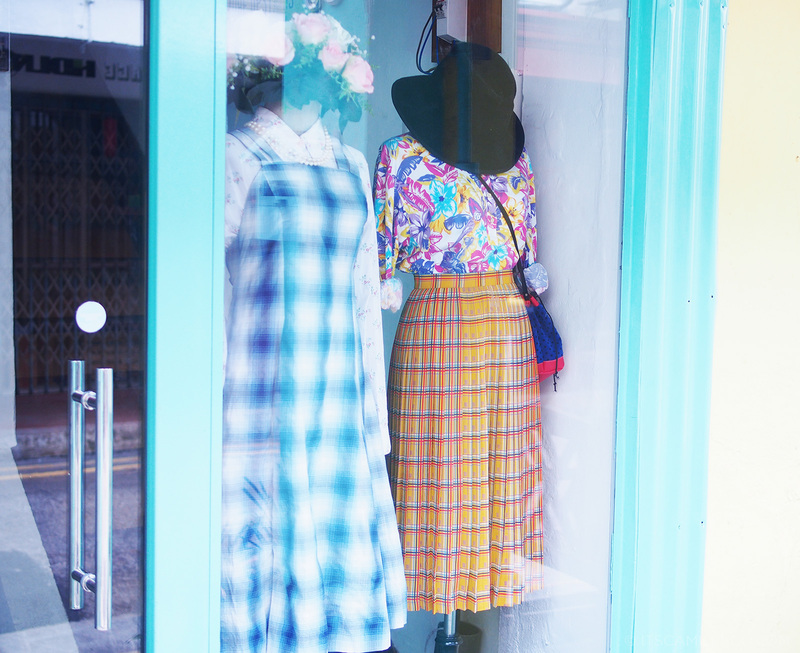 I love Haji Lane too, although some of the unique pieces might be a tad more expensive than the stuff you can find at H&M, F21 etc but they are one of a kind! I love shopping for vintage dresses here! And lucky you, I think I went a few days before you and I remember seeing a shop that was almost done setting up (with wooden planks outside), I have a feeling its Crayon. 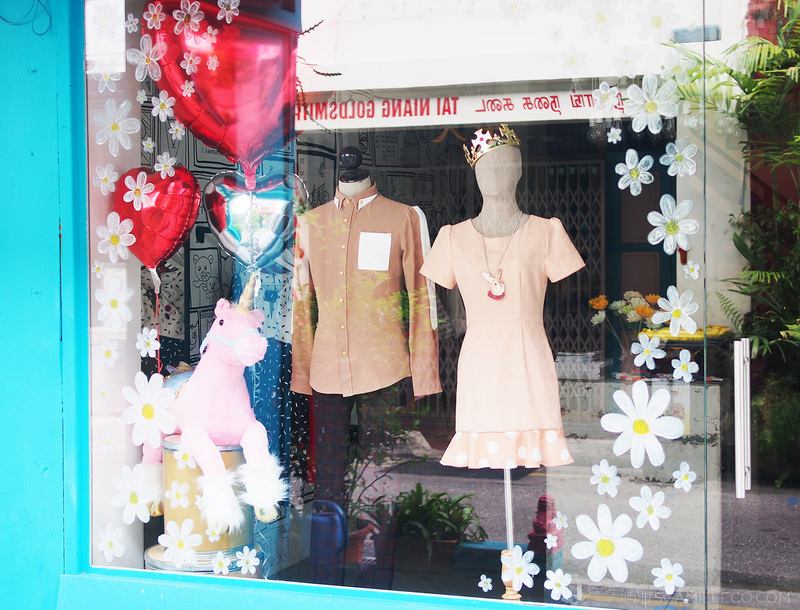 I need to go Haji Lane again just for this shop! Oh shucks! Sorry haven’t reached your message. So many! 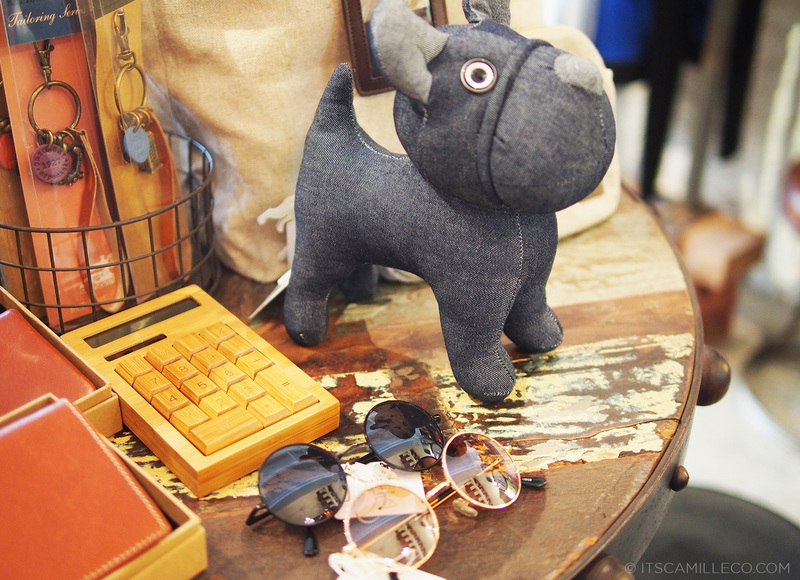 I totally agree with you, when you frequently visit a country you tend to forget to go to those great places in the nooks and corners rather than always going to those main areas to shop. As for me who lives in the neighboring country malaysia, cannot get enough of singapore! Beautiful country it is! Btw how old is your sis? She’s so lucky to be able to buy those cool shoes! Even though she has small feet, I believe a person’s disqualification is their greatest qualification! She is?! She definitely looks young for her age! :) are you the youngest? Judging by your posts, you look really tall! Thank you Angela! :) You’ll love it there! Thanks for sharing this. I’ll definitely take note of this. Camille,that place is so beautiful and fashionable. I just love it! Thanks for sharing this with us. And your outfit is so pretty and fits perfectly with the background. You’re truly a fashionista. Hi Camille! I saw your Nikon video and I was so impressed! (I AM AN INDEPENDENT WOMAN) Do you style guys too? BTW You’re so pretty! Maybe you’ll got here someday too! OMG TOTALLY GOING TO THIS PLACE!!! Super cute!!!! I learned something today bc of your blog, haha! wow, that place is awesome!!!! may favorite is the street signs, sooo cute. I hope someday I can go there. :)) btw, nice outfit. “Life without fashion would be a mistake.” So True!!!!! You look beautifull and the photos are stunning! Thanks for sharing such a wondeful place. Thanks Tamara! :) I love colors too! hi cams!! i posted one of your pics here on my instagram :) you can check it (@vinaguerrero) will put credits and will tag you! :) ““Life without fashion would be a mistake.” I AGREE! Who’s with me?”- MEE!! :) This post makes me want to go singapore more!! Will definitely check on Crayon! Thanks Carol! It really is! What a wonderful stores, so colorful, lots of lovely and unique pieces in there. Oh my, I want to go there! 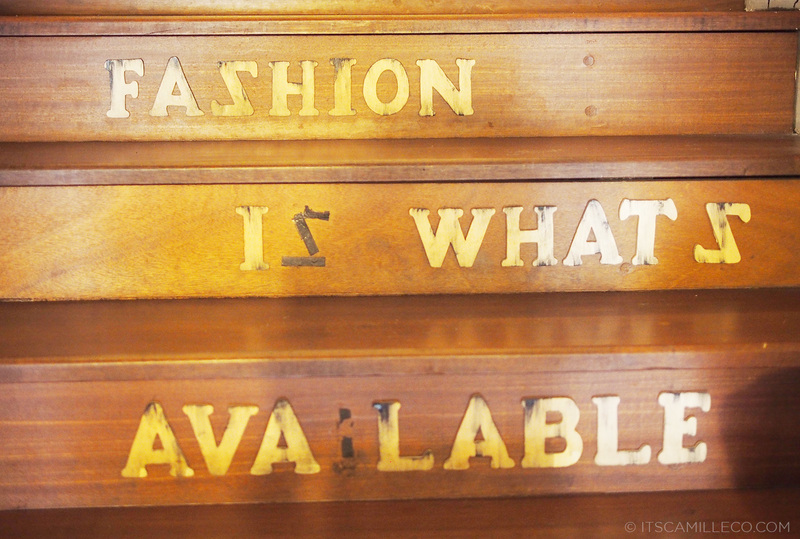 And nice quote in the stairway, I’ll go with you! :) Such a nice casual chic outfit of yours Ms. Camille! Thanks Judy! So many little treasures! Oh really? That should’ve been so cool!